In this historic cathedral in the heart of Cusco, Peru, hangs a one-of-a kind religious and cultural painting that depicts a very unordinary twist on an otherwise common image. The guinea pig is both food and pet in Peru, Bolivia, and Ecuador. The original menu of bread and wine is a classic. However, this image of the Last Supper presents Jesus and his disciples dining on a uniquely local rodent delicacy. 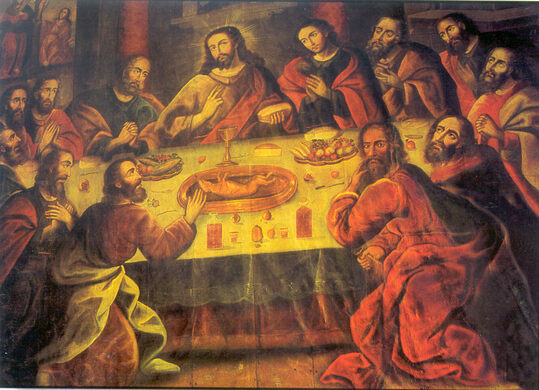 The Last Supper as painted by Marcos Zapata in 1753 is an obvious stand-out among the massive collection of art and archeological relics in the Cathedral Basilica in Cusco’s main colonial square. The large painting depicts Jesus and the twelve apostles gathered around a table preparing to dine on a guinea pig. The cooked guinea pig cannot be missed, lying paws up on a plate in the center of the table. Guinea pigs are native to Peru and can still be found today on many restaurant menus in Cusco, the former capital of the Incan empire. The artist Marcos Zapata was a Peruvian Quechua painter and member of the Cusco School, a tradition of teaching European art techniques in the Americas which the Spanish used as a method to convert the native Incas to Catholicism. Several painters at this time incorporated local indigenous elements in religious works, but it is surprising that this piece of art was tolerated by the Catholic Church, especially during the time of the Inquisition. Yet the guinea pig Last Supper survived, likely because when the Spanish constructed several cathedrals a large amount of art was required to decorate these new places of worship — the Church was unlikely to punish such a prolific artist as Zapata. And perhaps, a locavore version of the Last Supper was even seen as a positive way to convert natives to the new religion. Located in the city’s Plaza de Armas, the Cathedral Basilica of the Assumption took almost 100 years to construct, finally completed in 1654. 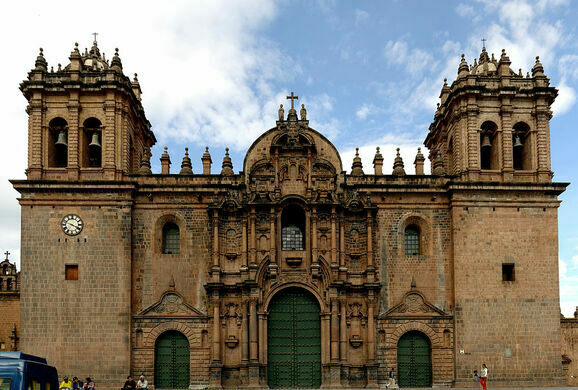 In addition to being a place of worship, it is a UNESCO World Heritage Site, and holds a large collection of Cusco’s colonial art. 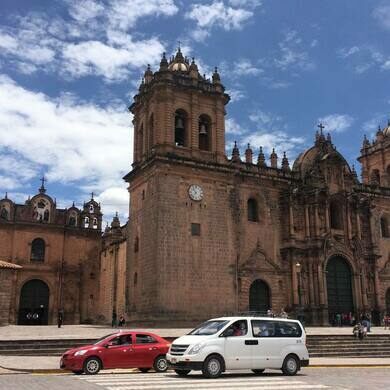 The cathedral is located in Cusco's Plaza de Armas. Visiting hours are Monday to Sunday 10:00am to 6:00pm. Tickets are S/. 25.00 for adults and S/. 12.00 for students. A rare example of an octagonal Catholic church.